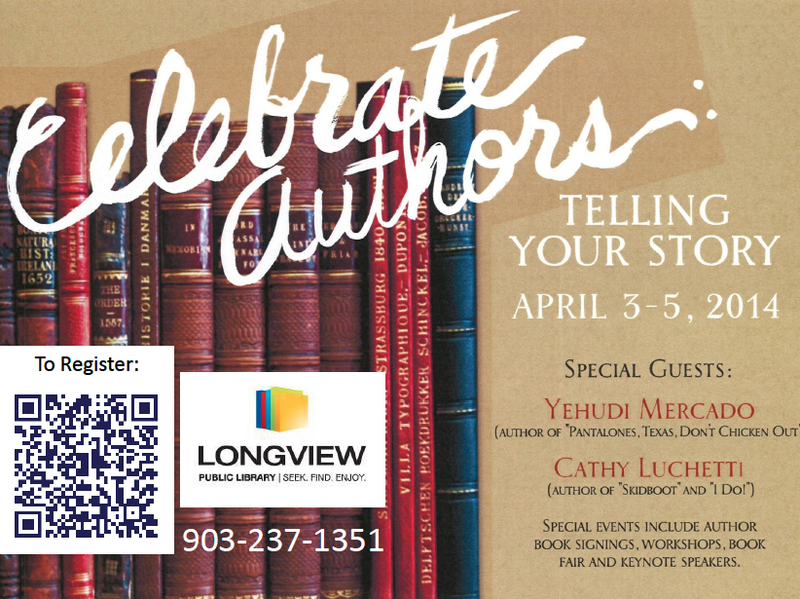 The weekend of April 3-5, 2014, Cathy is attending the “Celebrate Authors Event” at the Public Library in Longview, Texas. Readers will have a chance to get their books signed and to hear one of Texas most celebrated authors live. Categories: Non-fitction writing, Travel writing | Tags: American Writer, Authors Event, Book Signing, Creative Non-fiction Writer, Public Appearance | Permalink.